It’s a question I see asked often in many digital marketing communities. Among the most commonly asked are new ActiveCampaign users that have migrated from a list based platform like Mailchimp. Let me start out by saying…I understand your confusion. And it’s warranted. I DO NOT see this question asked much amongst Infusionsoft, Ontraport, AutopilotHQ, or Hubspot users. Lists are for email marketing. 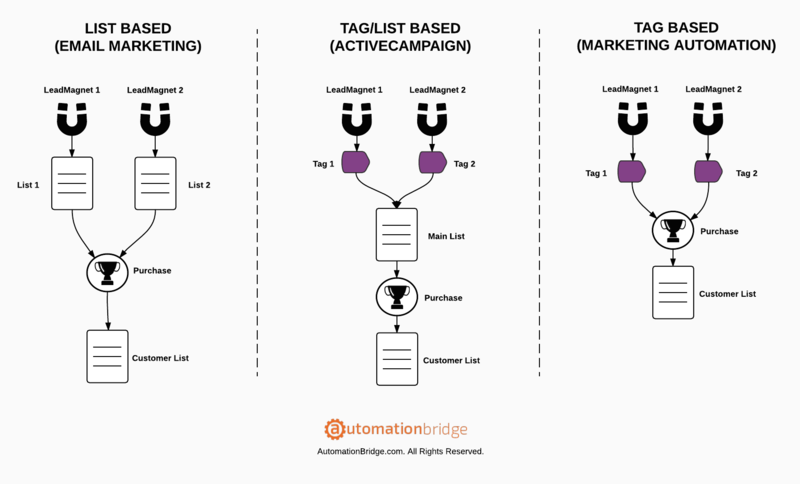 Tags (and/or Custom fields) are for marketing automation. Which brings me to the key differentiator between email marketing and marketing automation…a CRM. 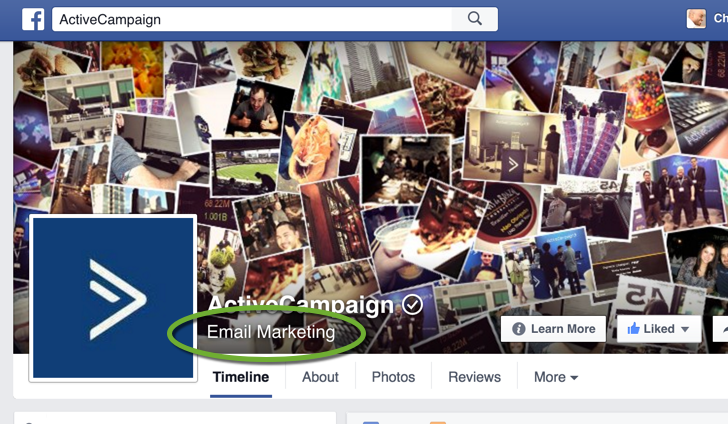 With email marketing everything is based on your email address. Meaning you can’t have a contact exist in your email marketing database without an email address attached to it. 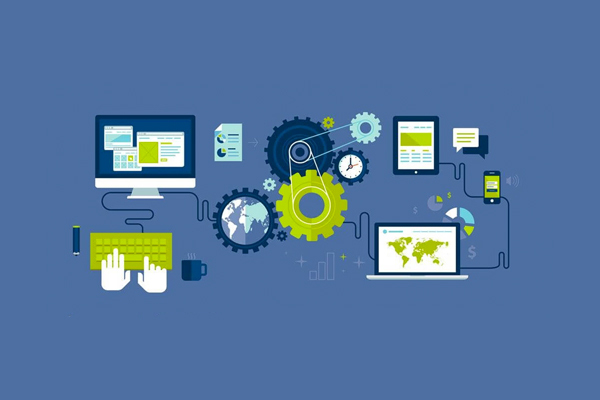 Marketing automation requires the use of a CRM (Contact Relationship Management) system. With a CRM any type of contact with any type of information can be stored. This is because marketing automation relies on much more than just an email address for sending emails. When you mix the two approaches in one platform not only do you get ActiveCampaign, but you also get a whole lot of confusion. Check out the graphic below to see what I mean. Lists were always intended to be used to manage email addresses and send emails. Anytime you need to capture more than an email address (and name) you are pushing the limits of your email marketing platform and are approaching the necessity of having a CRM. Since this is where most small businesses start out they are trained to think of their contacts in list form. When they want to send an email they think of which list to send it to. When someone fills out a form on your website they are immediately added to a list. Each LeadMagnet you offer must have it’s own list associated with it to deliver it. In addition double opt-in, success pages, and follow up sequences are all specified on a list basis. The only type of automation available is basic automation of moving contacts between lists, and emails are sent on a list membership basis. When someone becomes a customer they are added to a customer list and removed from all non-customer email lists (this can be very tricky depending on your email marketing platform). Marketing automation platforms do much more than just send external emails. Therefore, they have the ability to store more than an email address in the contact’s record. Really good marketing automation platforms will show you a timeline of all events your contact has taken to allow you to engage with them deeper and more accurately. To achieve this they use tags and custom fields. Both work in conjunction to tell a story of what your contact has done and is doing to help you better predict what they will do. No list is needed since all the data is stored on the contact level. When someone is added to your contact database they are tagged by the action they took. Their contact record can be updated dynamically as they continue to take more action on your website and/or inside your application. As their actions are being recorded tags can be applied and removed. More importantly, when they become a customer all that is required is a tag be applied. No list removal necessary (because they don’t exist). Emails are sent by creating custom groups by the tags present on each contact record. Many of you reading this know I love (and use) ActiveCampaign. So this is definitely not intended to speak bad about them. But I must point out their lack of clarity in positioning themselves as a marketing automation platform is causing a lot of excited new users a lot stress from confusion. I don’t like that at all. The reason being is because they are a solid marketing automation platform (arguably the best at their price point) and should position themselves as such. Labeling their product as email marketing really sells them short of the true power their platform provides. The same can be said with their hybrid approach to managing contacts with both lists and tags. Choose one and leave the other. Playing both sides doesn’t really serve anybody well. When a contact submits a form they are added to a list and a tag can be applied. Double opt-in takes place at the form level so if you had multiple offerings you would not be required to have multiple lists. Emails can be sent on both a tag basis and a list membership basis. Most of the time it’s a combination of the two. When a contact becomes a customer a tag can be applied and they can be moved to a customer only list and removed from all non-customer lists (I call this double contact management). 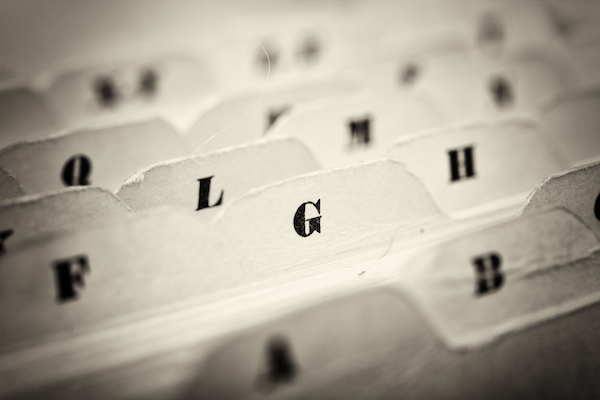 Should You Use Lists or Tags? Before I answer this question I’d like to rewind about 3-4 years ago when I migrated from GetResponse to Infusionsoft. I was terrified at the idea of not having lists because that’s all I knew. Tags were new to me and I didn’t quite trust that they could do everything I needed them to do effective. There is nothing you can achieve with lists that you cannot achieve with tags in ActiveCampaign. In fact, whatever you’re trying to do with multiple lists you can do even easier (and better) with simply using tags. Can you see the difference? Nothing major sticks out until you talk about the execution of each approach. 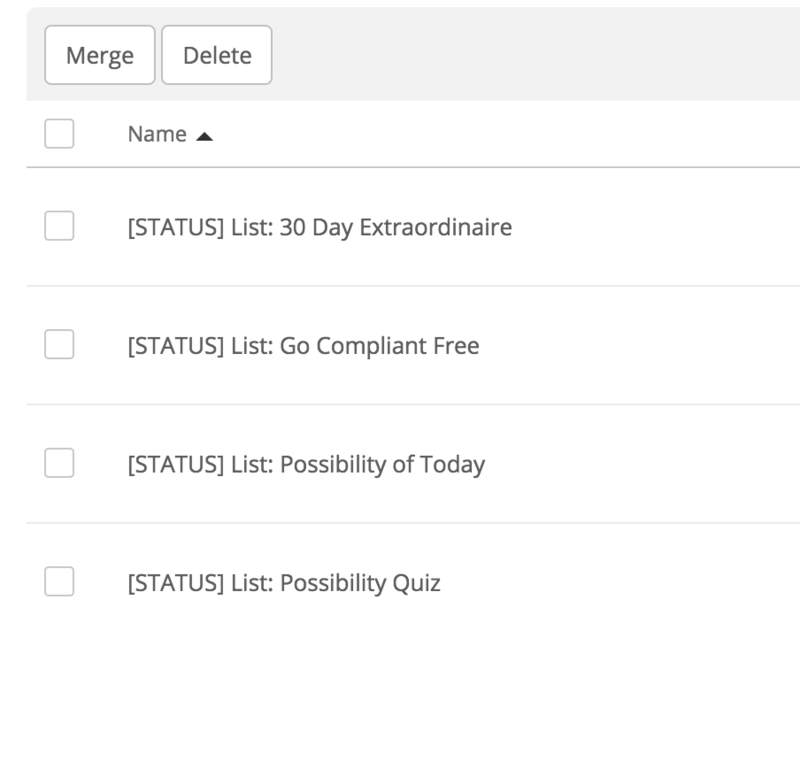 Managing lists is messy at best. The last thing you need to be doing is adding a layer of complexity to your marketing automation. That’s what multiple lists do. When moving contacts between lists you have to decide whether or not you want them to exist on both lists, or just the destination list. To make matters worse when you move someone from one list to another in ActiveCampaign it shows in their timeline as they were unsubscribed from the previous list. Which again is kind of accurate but kind of confusing as well. It makes your data really muddy if you are doing a custom search on total unsubscribes. It will provide results of people who have unsubscribed and people who have been moved between lists. With a tag it’s simple…just remove or add it. Also, when it comes to segmenting your contacts it’s harder when using lists. You need to know both the lists they are members of as well as the tags they have. Needless to say it can get really confusing really quickly. Lastly…when you have a single contact on multiple list and they receive an email and hit “unsubscribe”, it can be very confusing to identify which list they are unsubscribing from. So what’s my recommended approach? I recommend having one master list in ActiveCampaign and managing EVERYTHING with tags (just like Infusionsoft). To do this, you’ll need to always trigger your automations off of a form submission and never a list membership. The only time I will create a secondary list is if a third party tool only integrates at the list level (which is ridiculous). Here’s a screenshot of how I configured an ActiveCampaign account tags after I migrated the business owner from Aweber. As you can see instead of creating four separate lists I tagged each contact appropriately depending on they list the existed on in Aweber. 1 . 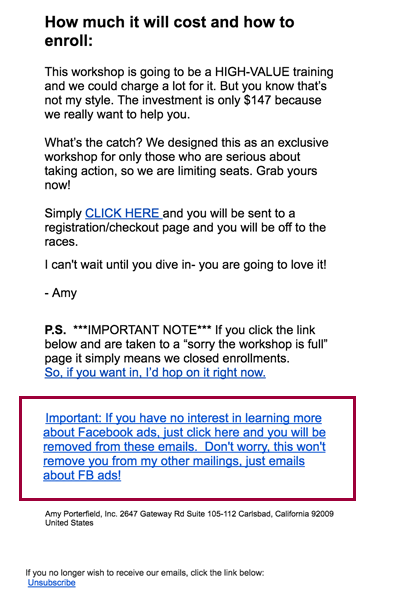 What if you want to use double opt-in with this one list approach? Since the double opt-in process in ActiveCampaign takes place at the form level you can deliver as many different LeadMagnets as you want on a single list. If you wanted to take it a step further you could implement my “Single-Double” opt-in approach which gives you the list hygiene of double opt-in and the ease of use of single opt-in. 2. How do I handle unsubscribes if they’re all on one list? The answer is simple…with tags. Do I sound like a broken record yet? No seriously, you can use the presence and absence of tags to determine if someone should continue receiving a particular type of communication from you. The easiest way to do this is to add an extra link to your email with some verbiage explaining that if they click the link they will no longer receive a certain type of emails from you. This links is separate from the global unsubscribe link present at the bottom of all of your emails. When someone clicks the link a tag can be applied or removed to indicate that you should no longer send them that type of communication. If you’re still nervous about using a single master list I get it. I was nervous for a while too. But once you start reaping the benefits of a much easier way to manage contacts and send emails you’ll never miss or go back to lists again. What approach are you using in ActiveCampaign? Multiple lists or just tags? Let’s discuss it in the comments section below. If you’re a member of “The Academy” feel free to discuss this topic in more depth in our community forums.